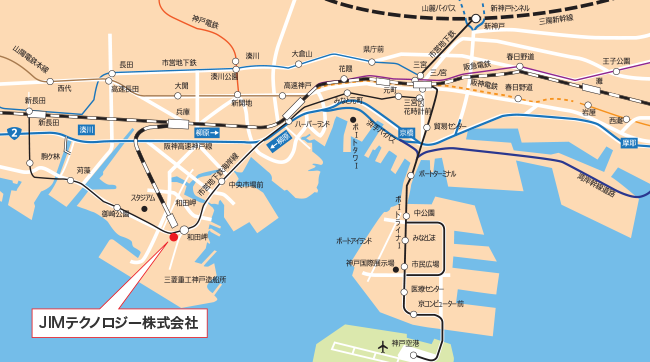 Inside Kobe Shipyard & Machinery Works, Mitsubishi Heavy Industries, Ltd.
Shield tunneling machines from JIMT are manufactured at the following plant. Facsimile: +81-45-505-8902 This plant is conveniently located in the Keihin Industrial Zone, which faces the Port of Yokohama. 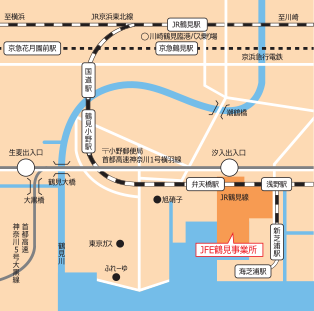 Located close to the center of Tokyo and Tokyo International Airport, the plant has excellent access to transportation. At the plant’s facilities, which boast the leading machine tools in Japan, shield tunneling machines ranging from small- and medium-diameter ones to ultra-large-diameter ones are manufactured in an integrated manner. 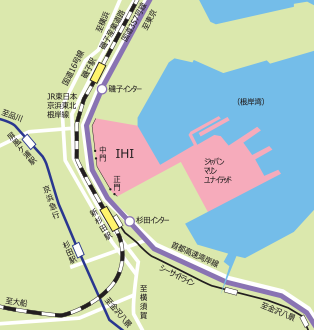 Facsimile: +81-45-759-2603 This plant is located in the west of the Keihin Industrial Zone, which faces the Port of Yokohama. It features the largest assembly plant in East Japan, where production equipment, including large cranes, is allocated across a vast site. The facility is capable of manufacturing ultra-large-diameter shield tunneling machines efficiently in an integrated manner.